Encouraging local business in your community prospers the economy. On a deeper scale it creates jobs, promotes community engagement, enriches our local culture, supports sustainability and development. Businesses with a local focus can have advantages of cultivating relationships with local clients, businesses, suppliers that can in turn strengthen their own Business. As a Business owner we can feel isolated being on our own, it is different from being an employee where you can interact with others, have any challenges and problems on the Manager or Director to sort out as you wait for your pay check at the end of the week. When you are the Business owner these problems, challenges and issues are all yours. Having a like-minded team of Business owners around you can help you in your Business as they can share their knowledge, expertise, experiences and give you another prospective that can help you to do better Business. Building you and your Business reputation locally is the best way to market your Business. You will build trust and be known as the ‘expert in your field’. People want to support local Business and refer someone locally. The best way is to regularly connect by Networking in your Community. As we are now well-known Business brands like McDonald’s, Nike, Google we must get out there and connect to build your Brand and this will build your Network. If you want success in your Business, you need to stay motivated and be active. Having others that are inspiring, helps you to achieve your goals. Our group we like to keep you energized, feel confident and equipped with our Guest Speakers, Workshops and Discussion Topics you can go away from the meeting feeling ready to kick your goals. We all know that growing your Network leads to growing your Business. If you spend time building quality relationships that build trust your Business will expand and grow. 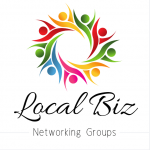 At Local Business Networking Group we are about supporting Local Business. With so many benefits of doing Business locally if you would like to come along and see the benefits please visit our Events page. Let’s build a strong Business Community together.